Got a home project in mind? Want a personal consultation with an architect or landscape architect? FREE 15-minute mini-consultations with architects from the Design Center are available from 12-2 PM this Saturday 8/12 at the Lawrenceville “Housing For All” Event & Workshop sponsored by Allegheny Valley Bank / Standard Bank. Sign up using the Google Form HERE and bring your photos/drawings/plans with you! The Lawrenceville “Housing for All” Event & Workshop starts promptly at 12 noon on Saturday 8/12 at the Persad Center (5301 Butler Street, Suite 100) and will last until 4 PM with a full day of presentations, discussions, and resources related to housing for renters, homeowners, and prospective homebuyers. 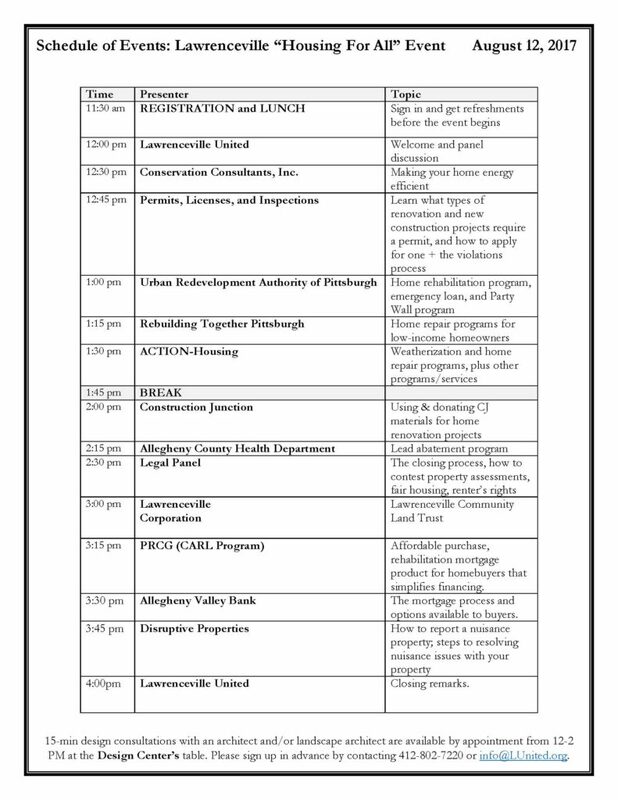 Free lunch, childcare, and LED lighbulb & nightlight giveaways from Duquesne Light. 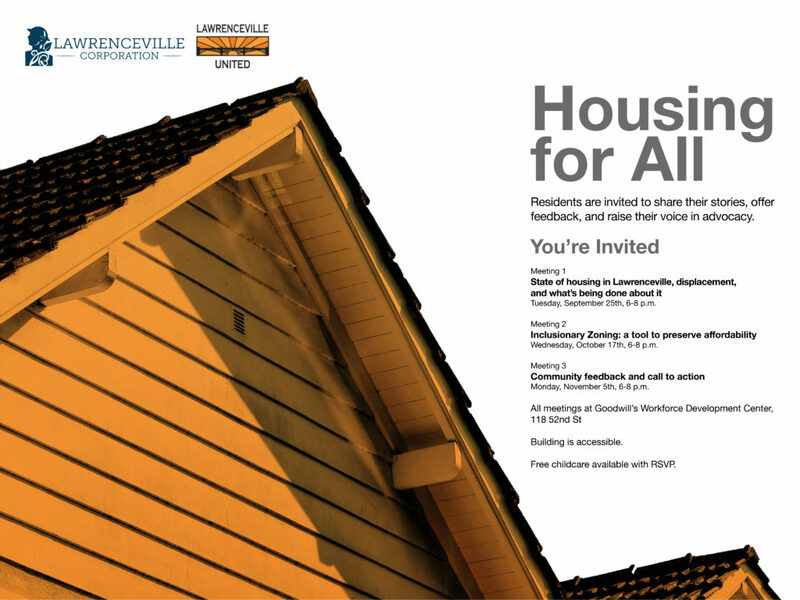 Topics include renters rights, affordable homeownership programs in Lawrenceville, a legal panel, weatherization programs, abating lead in your home, and much more. Please see flyer and schedule below for more information. Make your nominations now for Neighbor of the Year and Outstanding Community Partner for 2017. Recipients of the award will be recognized at LIVE! in Lawrenceville, Lawrenceville United’s annual fundraiser. For more information about LIVE!, check out our Facebook event listing or buy your tickets on Eventbrite. The Neighbor of the Year award will go to a Lawrenceville resident who has a strong record of service, who has given back to the neighborhood and has gone above and beyond. Neighbor of the Year may also be a community advocate who has worked tirelessly to grow and improve the community fabric of Lawrenceville. Past winners include: Sarah Koenig (2016), Tina Russell (2015), and Ashley Brandolph (2014). 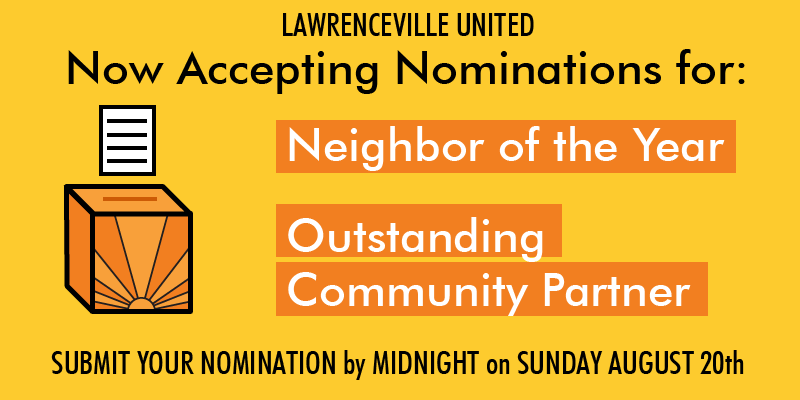 The Outstanding Community Partner award will go to a business or organization that has been a major champion of Lawrenceville and the residents, and has given support, beyond expectation, to the community and residents. Past winners include: Dive Bar & Grill (2016), Tree Pittsburgh (2015), and State Senator Jim Ferlo (2014). All nominations will be accepted until midnight on Sunday, August 20th 2017. 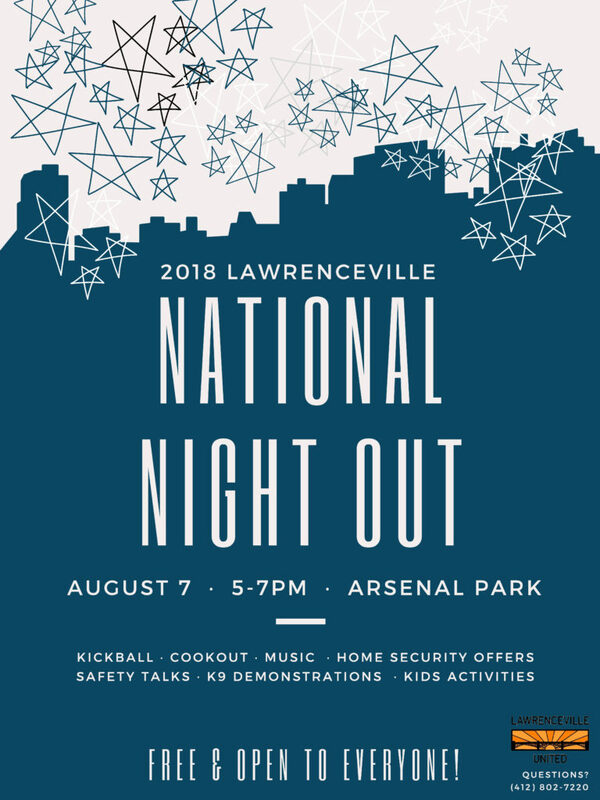 FREE family event hosted by Encounter Church, New Bethel Baptist Church, Trinity Baptist Church, and Lawrenceville United to promote a prepared start to the school year. 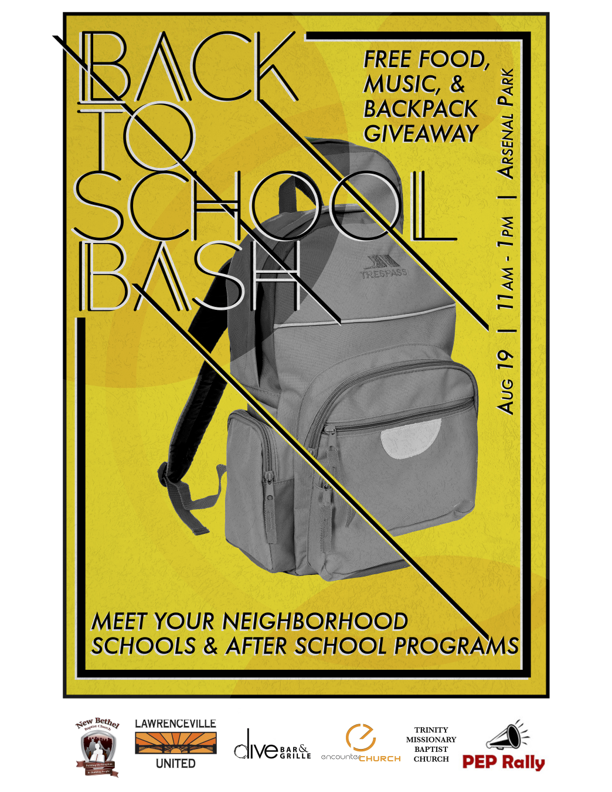 Over 300 backpacks will be given away filled with school supplies! There will be fun and educational kids activities including free food, face painting, music, and a bounce house. Staff from local schools and youth programs will be there with kids activities and sign ups for fall programs. Come on out. It’s going to be so much fun! Stick around afterwards for the Lawrenceville Farmers Market from 1 pm to 4pm! 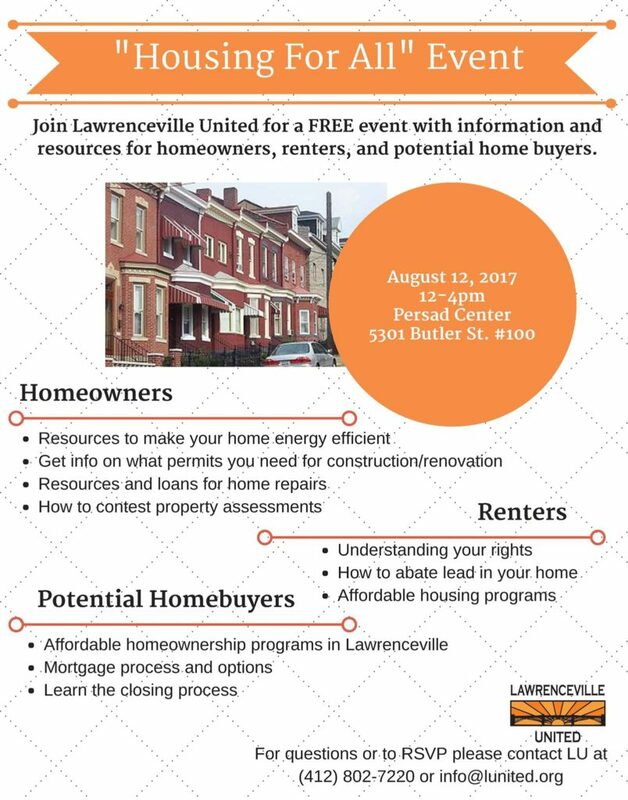 For more information, please call Lawrenceville United at 412-802-7220, visit www.encounterpgh.com or check out the event page on Facebook. Lawrenceville United is seeking interns for spring and summer 2017. 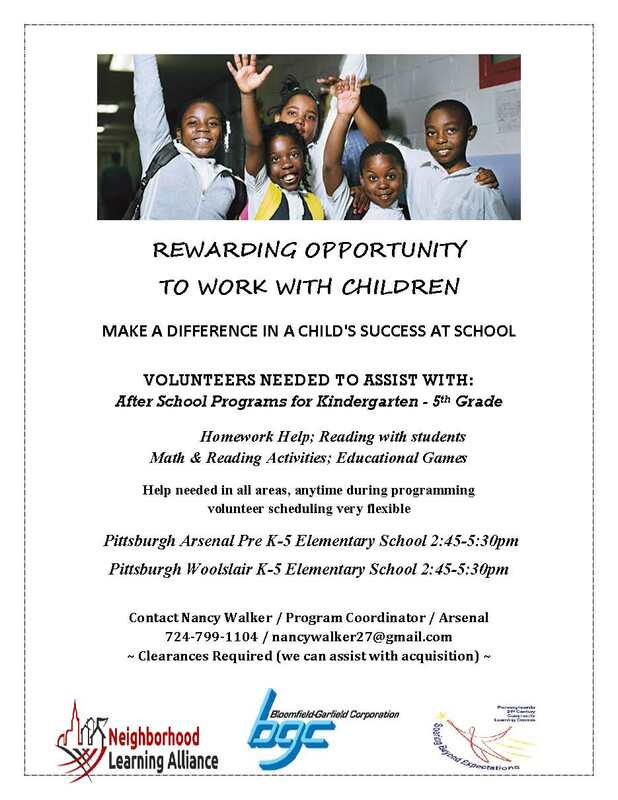 Positions include an Education Program Assistant and Community Development Program Assistant. Work study-eligible; credit or stipend also available. Please see attached job descriptions.